YouTube’s own statistics show that the video-sharing website has more than 1 Billion users, and not only that but the number of hours people spend watching videos on YouTube each month is up an incredible 50% year on year. So, how can you capitalise on YouTube’s successful social platform? As you’d expect from the leading video-sharing website, you can start your YouTube marketing journey via desktop or mobile – although desktop may be the best option to start with. It’s also worth noting you can’t currently create a new channel using the YouTube App for Android or iOS. First, to get started on YouTube you’ll need a Google Account. Although you can opt for a personal channel, it’s a far better idea to go for a business channel to get the best results from using YouTube for social media marketing. 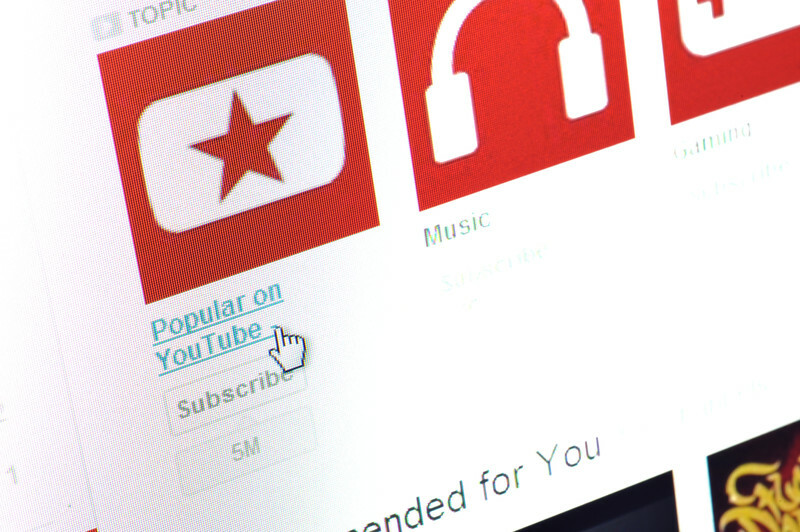 Once signed up, the nerve centre of your activity is your YouTube channel – your account. Think of your channel as your homepage – here you can control what your audience sees in each of the sections.It’s important to customise your channel; making it stand out from competitors. Your channel art should be a single image 2560px x 1440px, using a safe area of 1546px x 423px centred, but don’t worry if you’re not design savvy, YouTube offers a range of channel art templates. You don’t need to be a professional Director to record your first video, in fact now most of us are using smart phones, video content has never been so easy to create. We recommend a quiet area and use of a tripod to keep your recording professional. Use your first video to explain your company and remember to keep it short and sweet. Don’t be afraid to ask viewers to subscribe to your channel and tell them what they can expect in the future. Once you’ve followed the upload instructions and your video is live on your channel, you can set this to auto-play to new visitors as a channel trailer. Tip: It’s always good practice to preview your channel as a visitor. You can do this by heading to your channel and click view as public. To increase those all-important video views, you should include your YouTube channel name/link in future marketing. It’s worth joining your Twitter account with YouTube and tweet links through to your YouTube videos. You can also embed your YouTube video in to your website by clicking share under the video and selecting embed link, from there copy the code given and paste this in to your website. YouTube Analytics is highly recommended to keep track of how effective your social media marketing is; giving you insights in to user demographics, traffic sources and audience engagement. This entry was posted in Content Marketing, Social Media, Tips, Video and tagged social media marketing, social media tips, youtube, youtube marketing on August 12, 2015 by Pinnacle. To optimize your videos in the long-term get the transcripts of your videos. Get your videos converted to text. You can then optimize SEO whether on Youtube or your own site. or use that transcript for article marketing. or part of an ebook. Great idea! Utilising your content for other purposes is a brilliant way of making the most of your Youtube videos whilst optimising your website, blog or social media marketing.